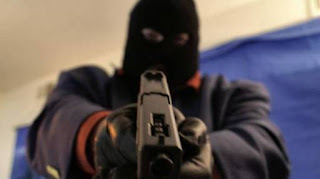 Fear gripped Katsina-Ala town in Benue State, yesterday, when unknown gunmen stormed the residence of a business tycoon and Katsina-Ala township Leader, chief Godwin Gbajur, and assassinated him at 6.48 am. It was gathered that two armed bandits carried out the dastardly act at Gbajur’s residence in GRA, on the outskirts of the town. An eye witness told The Guardian that the assassins rode on two Bajaj motorcycles to the victim’s house and inquired from him if he was Godwin, which he answered in affirmative before shooting him. When contacted, the Police Public Relations Officer, Benue State command, ASP. Moses Joel Yamu, confirmed the story, saying eight empty AK-47 shells were recovered at the scene. ASP Yamu said preliminary investigation explained that the assassins are gang members of Terwase Akwaza aka “Ghana”, the notorious wanted criminal in the state, adding that efforts are on to arrest the bandits and bring them to justice.